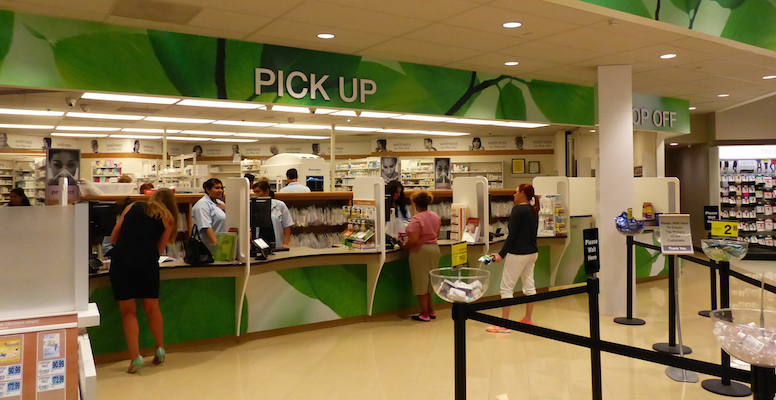 CAMP HILL, Pa. — Rite Aid is continuing to enhance its appeal as a retail health care destination, most recently through the introduction of the OneTripRefills medication synchronization service. Launched during the drug chain’s fiscal first quarter, OneTripRefills enables patients who enroll to receive all of their monthly maintenance medications in a single trip to the pharmacy. Under the free service, Rite Aid pharmacists work with patients to coordinate all of their refill dates so their scripts are available for pickup on the same day. In a conference call Thursday on Rite Aid’s quarterly results, president and chief operating officer Ken Martindale said the new service makes the retailer’s pharmacy experience even more convenient. “The program has been well-received by our patients and, when combined with our existing service to send alerts via text message e-mail or phone when a prescription is ready to be picked up, it creates a more patient-friendly experience for our Rite Aid customers,” Martindale said. That has already been a core focus at Rite Aid as the chain pushes ahead with the rollout of its Wellness Store format, which provides expanded pharmacy and clinical services, more wellness-focused offerings a more engaging store layout that’s easier for customers to navigate, and a higher level of service through more than 2,000 Wellness Ambassadors. Meanwhile, Rite Aid aims to add RediClinic retail health clinics to more of its stores, he said. In the quarter, the chain opened RediClinics in select stores in Seattle and announced a joint venture with Multicare Health System to support those locations. Currently, there are 30 RediClinics operating inside Rite Aid stores in the greater Seattle, Philadelphia and Baltimore/Washington, D.C. areas. Immunizations, too, remain a linchpin of Rite Aid’s retail health care strategy, according to Martindale. Along with expanding its health care services, the company is augmenting its prescription market share via prescription file purchases from other pharmacies, Martindale added.